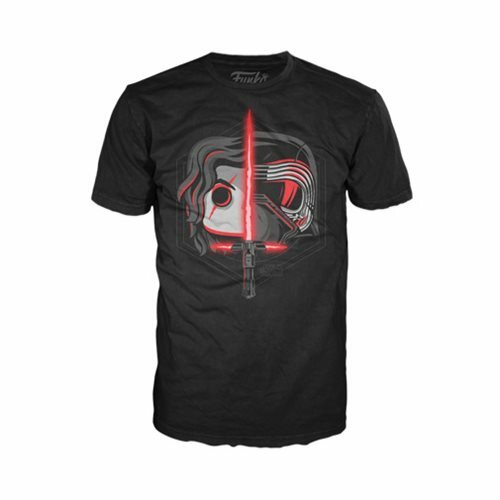 Funko,Star Wars,T-Shirts,Wear your Star Wars pride with this Star Wars: The Last Jedi Kylo Ren Head Split Pop! Black T-Shirt. Kylo Ren is featured in Pop! form as his signature lightsaber splits his unmasked and masked look.